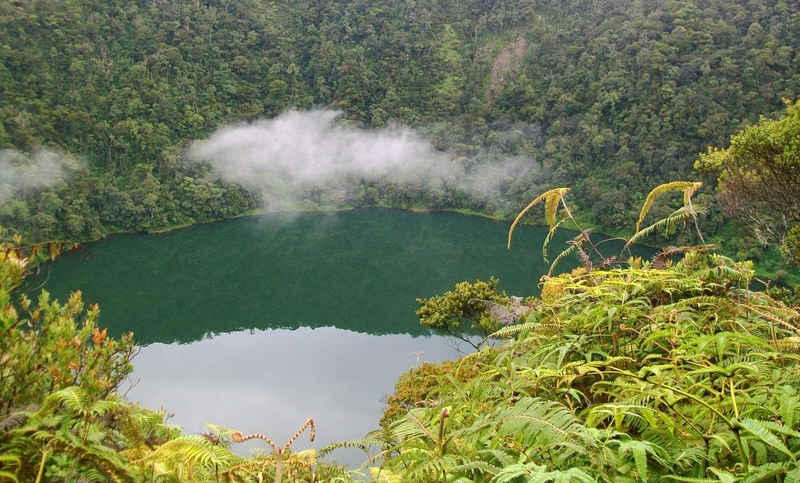 This Ribu is the highest peak in Jambi province (assuming you count Kerinci as in West Sumatra) and has two lovely highland lakes – Lake Kumbang and Lake Mabuk – which are of a smilar size to each other and were presumably once active volcanic craters. 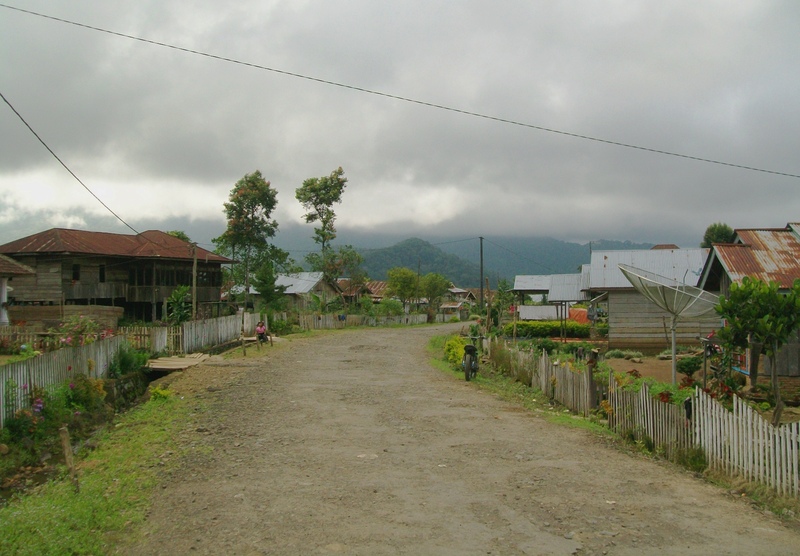 The normal starting point is Sungai Lalang (1,365m) – a 3 hour drive from Bangko on the Trans-Sumatran highway or just over 4 hours from Muara Bungo airport. 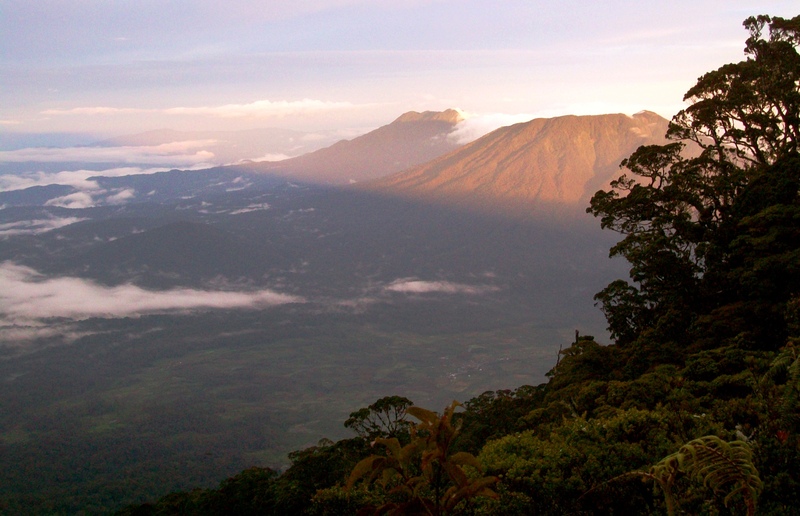 The trail leads through coffee plantations and it takes approximately 6 hours in total to reach Puncak 1, which is not the highest peak but is the recommended camping spot for small groups. There are many trails through the coffee plantations so you will need an experienced guide or else will have to ask local people working in the plantations for the correct route to Pintu Rimba (‘forest entrance’, 1,700m) which you should reach after about 2 hours from Sungai Lalang. 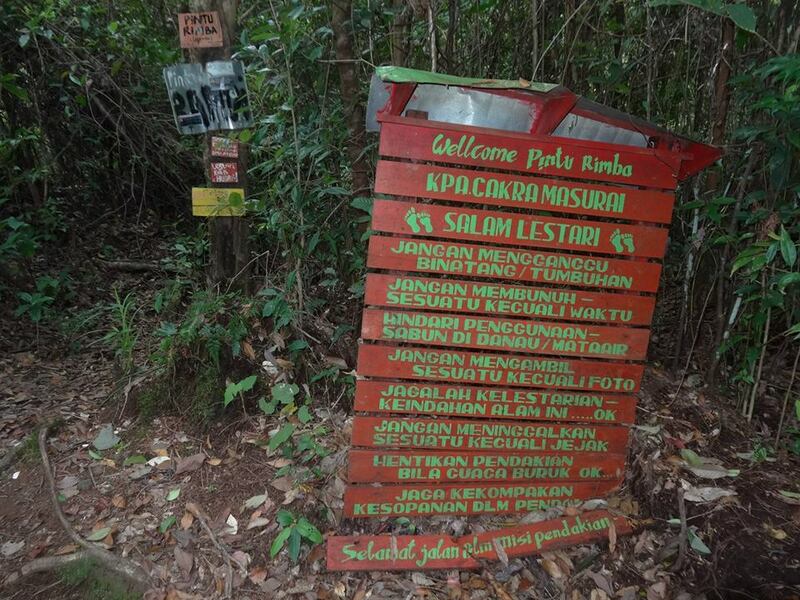 Pintu Rimba is marked with a large wooden sign painted red and green and with common sense rules about responsible behaviour when trekking. This section is perhaps the most awkward as there are several large and slippery logs either side of Pintu Rimba that need careful negotiation to avoid slipping off. Once you are past the logs, the trail gets steadily steeper through pleasant forest. After another 30 minutes or so you will have reached Shelter 1 (1,905m) which offers little in the way of shelter other than under a large fallen tree, but does have a water source just one minute from the trail (down to the left). Listen out for siamangs in this area. Another three hours and you should have reached Puncak 1/Satu (2,715m), which has great views over Danau Kumbang and also to the rarely-hiked Gunung Nilo and Gunung Sumbing to the west. 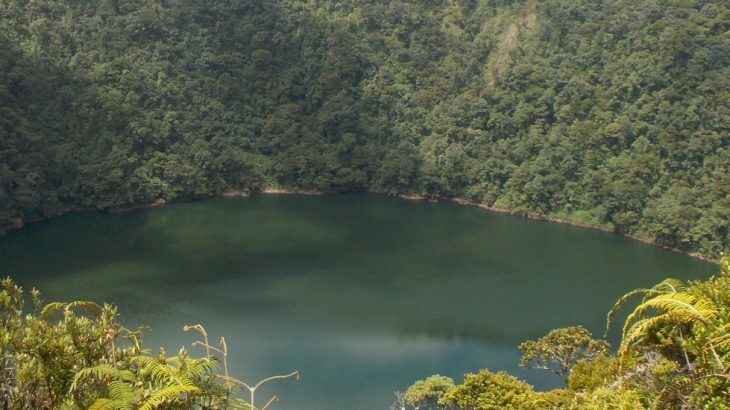 Just 2 minutes before Puncak 1 (Satu) is the junction for Danau Mabuk (‘the drunk lake’), but this lake takes approximately two hours to reach meaning a four-hour round-trip. 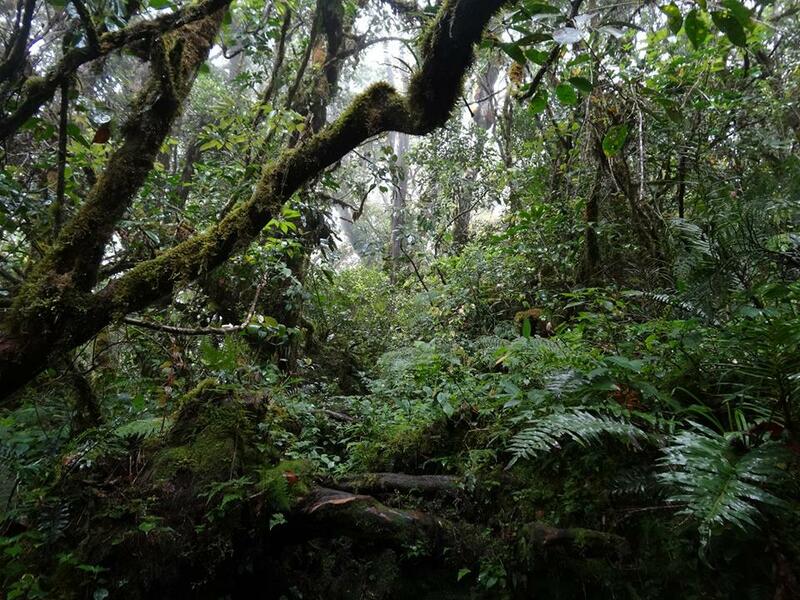 It might make sense to visit Danau Mabuk if ascending or descending from the alternative starting point near Tanjung Berugo/Beruga but the trail is apparently overgrown and often confusing. 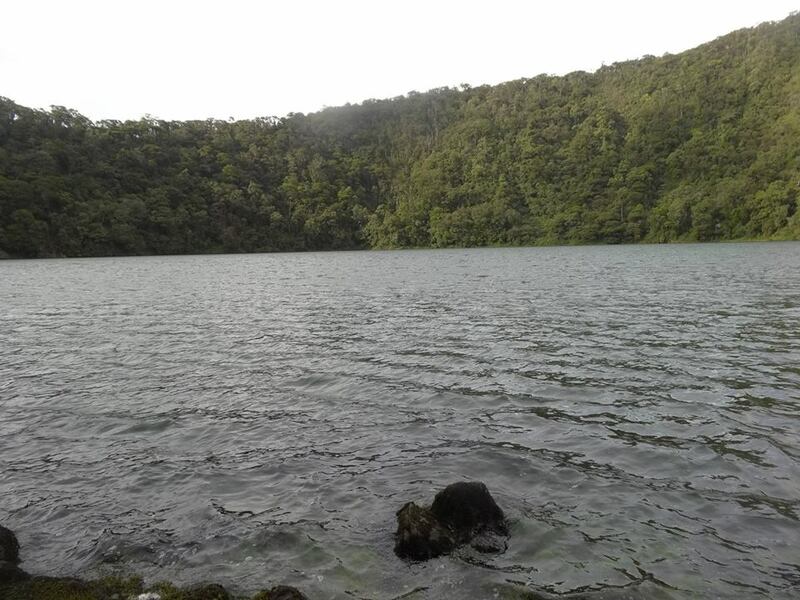 There are two apparent reasons for why the lake is called Danau Mabuk – firstly because the trail there is so difficult it makes you ‘drunk’ and secondly because of a certain wind which blows over the lake and makes the fish ‘drunk’ and easy to catch! 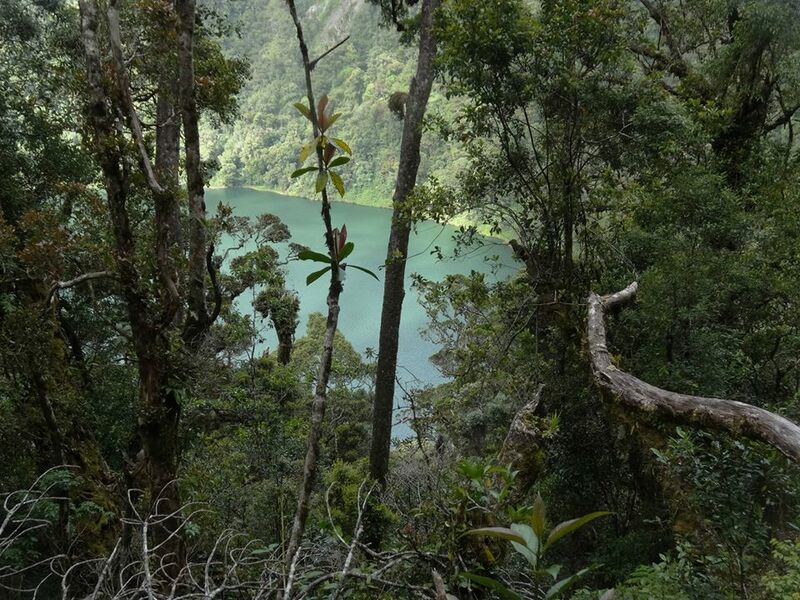 From Puncak 1, however, the views are of the other, much more easily accessed lake, Danau Kumbang (approx 2,530m, ‘beetle lake’). Puncak 1 has enough space for just 3 tents or so, and larger groups tend to go down to Danau Kumbang itself and camp at the side of the lake where there is more room. Do note that the trail down to Danau Kumbang is very steep in places and therefore difficult with large backpacks but only takes 30 minutes when descending from just beyond Puncak 1. 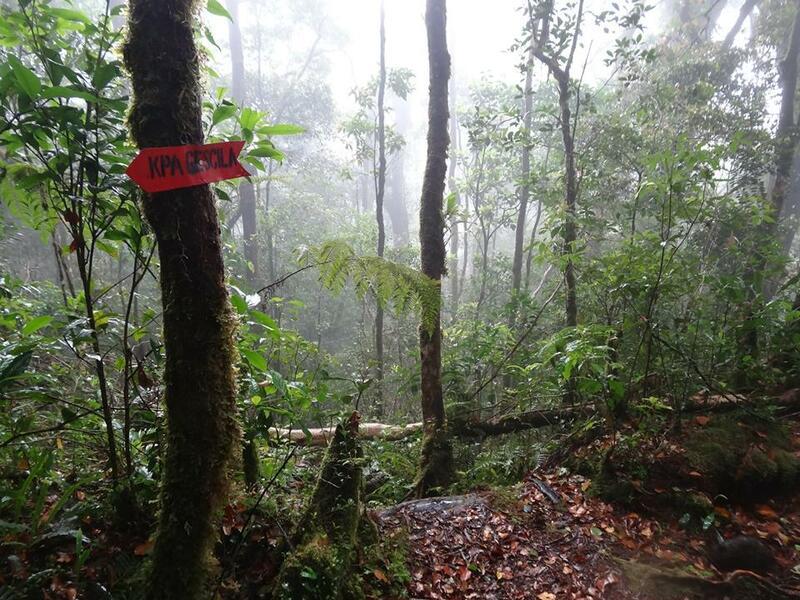 Despite only being 1.4km in a straight line, from Puncak 1 to the true peak (seemingly known as ‘Puncak Top’) is about 2 hours of tough trekking through moss forest, clambering over logs and squelching through mud! Look out for pitcher plants along the summit ridge and for occasional good views to the left of the trail. There are lots of birds on this mountain and you have a good chance of seeing eagles. There are no panoramic views at the true peak but it is well sign posted and there are numerous signs left on a tree there by local hiking groups. 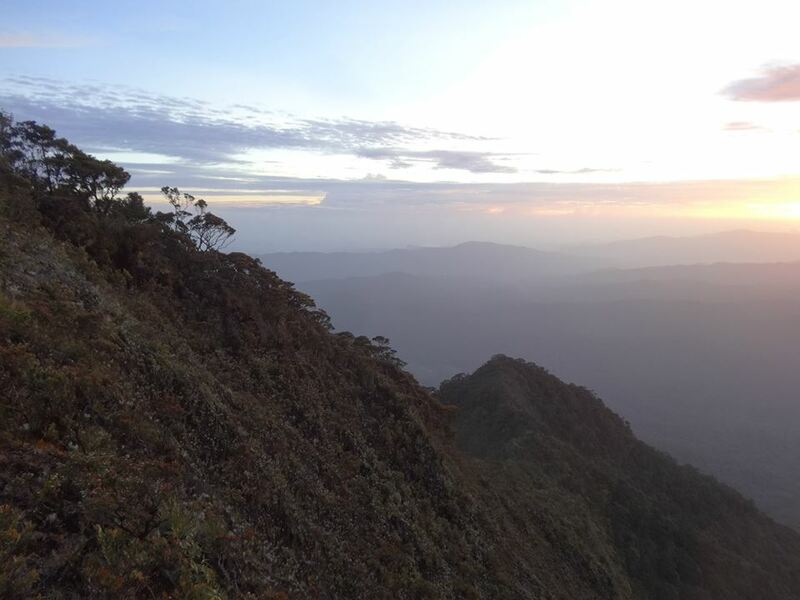 There is enough space for 2 or 3 tents at the true summit but because of the lack of views and difficult terrain between Puncak 1 and the true peak it is not recommended as a place to camp. Remember it is at least 4 hours from Puncak 1 to the true peak and back again. 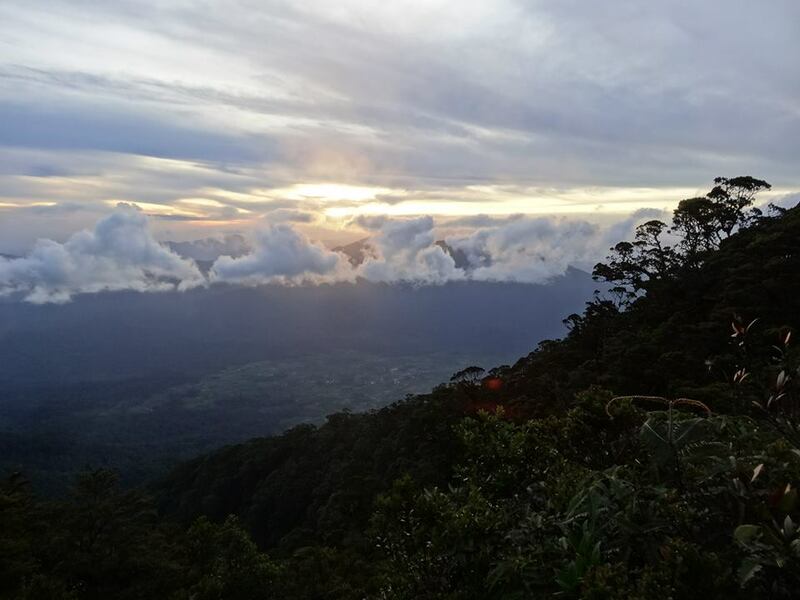 The views from Puncak 1 are unsurprisingly great at both dawn and dusk, particularly in the direction of the mysterious Gunung Sumbing and Gunung Nilo, both of which remain wild and unfrequented. To descend from Puncak 1 to Sungai Lalang takes between 4 and 6 hours. In summary, to and from Jakarta you need around 5 days. Day 1: Get to Bangko (easiest way is to fly to Muara Bungo). Day 2: Bangko to Sungai Lalang and up to Puncak 1 (camp). Day 3: To summit and lake/lakes (camp). Day 4: Back down to Sungai Lalang and return to Bangko. Day 5: Return to Jakarta (from Muara Bungo or perhaps Lubuk Linggau or Jambi). 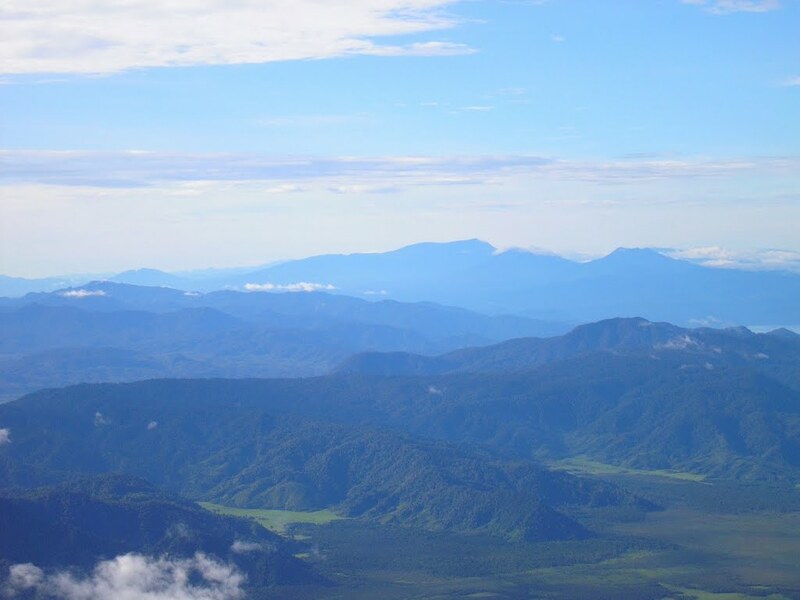 Technically, you could make it down off the mountain and back to Bangko on Day 3 if really needed such as if you only want to visit the summit and not bother with Danau Kumbang. This would mean only one night camping, but it would be quite a rushed trip given the distances covered. Getting there: Masurai is quite a distance from airports. In the past most hikers had to fly to Jambi but Sriwijaya now flies direct from Jakarta to Muara Bungo which is less than 2 hours from Bangko. From Bangko it takes a little under 3 hours to reach the trailhead by car. Accommodation: In Jambi there are a few basic hotels behind Novita Mall and Pizza Hut. Jambi Raya looks the best, followed by Hotel Anggrek. In Bangko the Hotel Suslinda is adequate and has rooms with hot water. Otherwise try the Permata. Water sources: Available at Shelter 1 and Danau Kumbang. Featured, Jambi Tinggi Sedang. permalink. Just back from a successful hike up Gunung Masurai. Getting there is a little easier now that Sriwijaya fly direct to Muara Bungo 4 times a week. We took a taxi from there to Bangko which took about 1 hr 45min and cost Rp300,000. Checked into the friendly Suslinda Hotel once again. Rp125,000 for a basic room or Rp250,000 for AC. Next morning our driver (0823 7938 4670) took us to collect our guide, Rendi (0852 6966 2605), at the junction to Tanjung Berugo on the way to Sungai Lalang. Bangko to Sungai Lalang was about 2hr 45min – a windy road but decent road surface. Car and driver one way cost us Rp400,000 so OK if in a group. Sungai Lalang is at an altitude of about 1365m which is a pretty good start. Friendly place but as a wedding was going on we had to wait an annoying 90 minutes before the kepala desa was free for us to ask permission to hike. We paid Rp50,000 for the five of us (1 guide, 2 porters, 2 hikers). 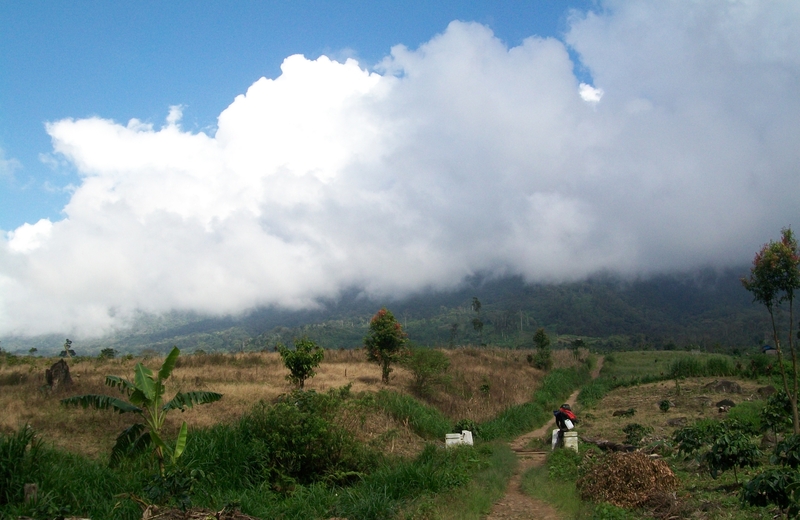 Great views of Gunung Nilo from the Masurai valley… indeed one village up there is called Nilo DIngin. Apparently Nilo is covered in leeches but there are very, very few on Masurai – music to our ears! 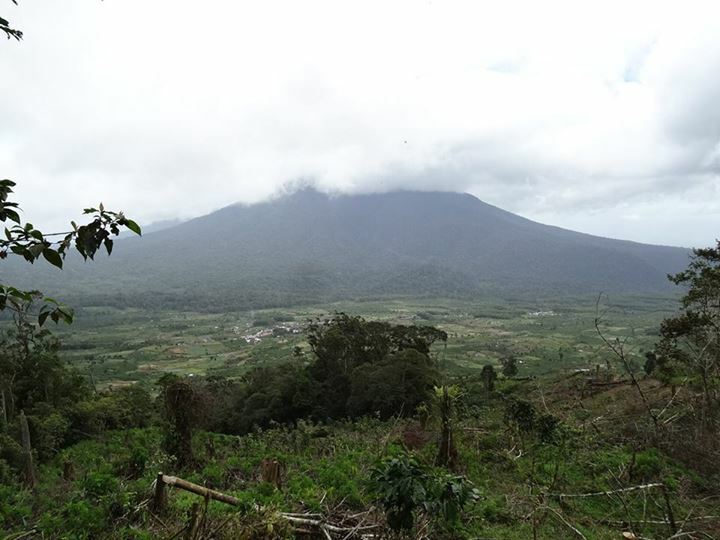 The trail leads up through coffee plantations and then some potato fields further up – loads of unsignposted junctions… you would need to ask several times without a guide. Alas one of the porters was already struggling so we had to leave him behind. Amazingly Rendi and pal managed regardless. Just before you enter the forest there are some slipperly log sections…. this was harder coming back down than going up. Lots of siamangs calling in the forest and plenty of birdlife. 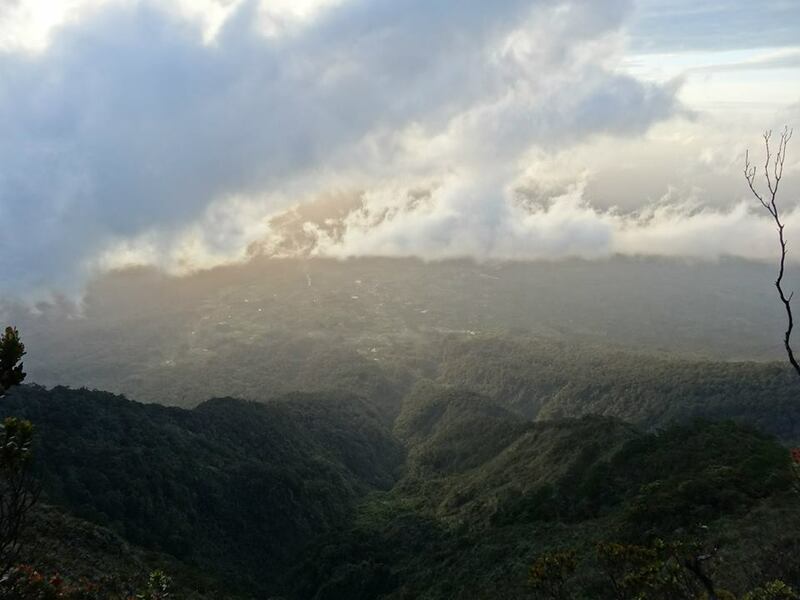 We got to Puncak 1 in 6 hours and decided to camp there as we were running out of daylight and though it was cloudy it appeared to be a good spot for views. 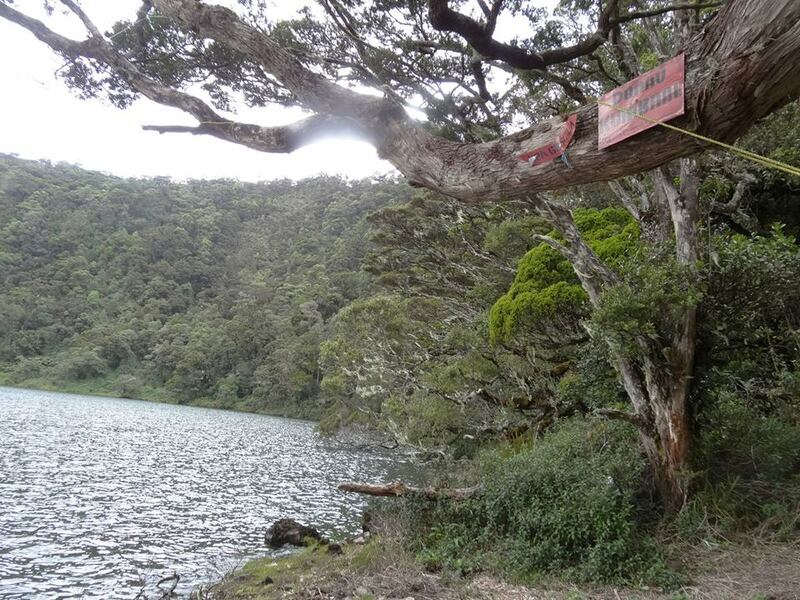 The original idea had been to camp down at Danau Kumbang (visible from Puncak 1) but it would have been a further 30 min down a rather steep and muddy trail. All in all, I would recommend Puncak 1 as the best place to camp on Masurai, though there is only flat space for 2 tents or so. The next morning we set off for the true summit… only 1.44km away but took 2 hours slogging in light rain under and over logs, through deep mud and so on. Lots of pitcher plants but the very few open sections offered us no panoramas but of grey cloud. The summit itself (seemingly known as Puncak Top) has tons of signs and a few broken bits of cement pillar scattered around. No views, but to have reached this point is a decent achievement. 2,942m according to both GPS devices we had with us. Another 2 hours back to Puncak 1 where we had lunch. Then the sun began to shine a little on the lake side so we went down there to fill our water bottles. The plan had been to try to reach the excellently-named Danau Mabuk (‘drunk lake’) that day too but it is apparently a 4 hour return journey from Puncak 1 through terrain a bit like that on the way to the summit. 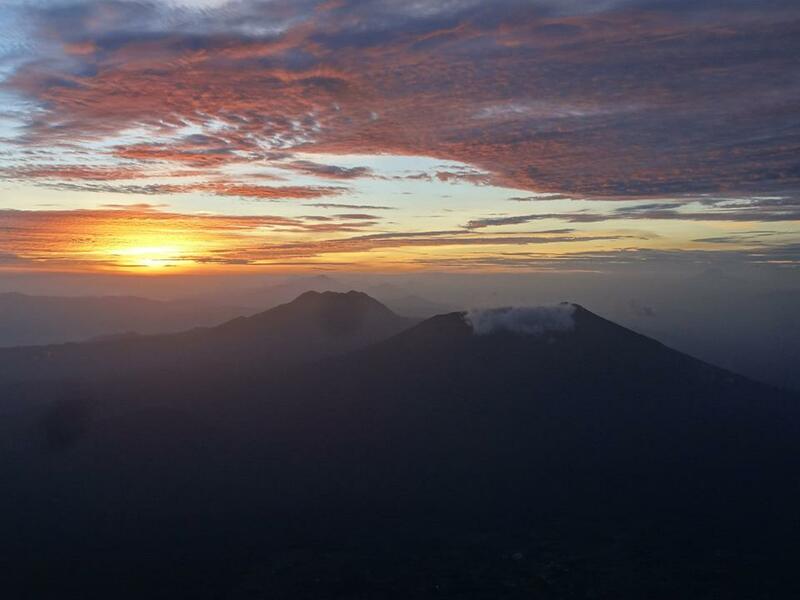 The second dusk and dawns were very pleasant with views to Gunung Nilo and Sumbing and probably Kerinci in the far distance behind Sumbing. Fast hikers can make it back down to Sungai Lalang in 4 hours, but I would allow 5.5 just incase. 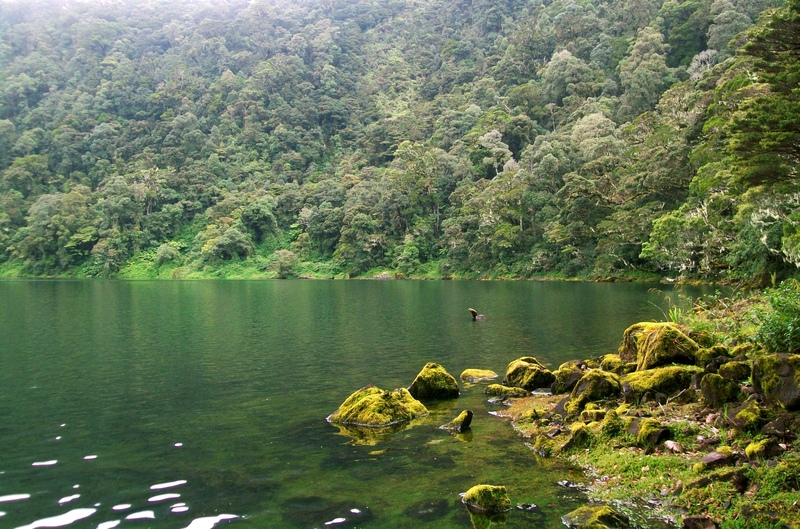 Note that there is a lovely blue lake, called Danau Biru, on the slopes of Masurai. 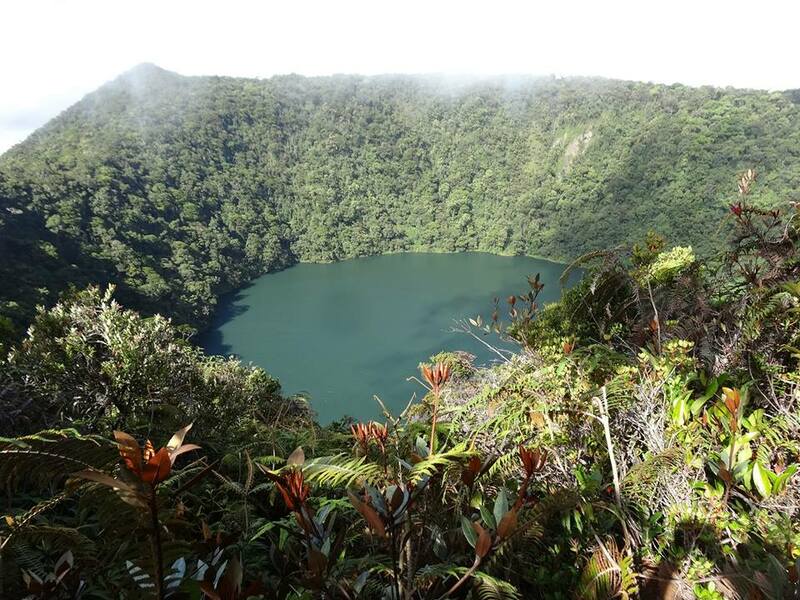 Unfortunately it is on the other side of the mountain, but if you have extra time it looks well worth a visit… similar to Danau Kaco near Sungai Penuh. Our driver claimed to have seen tigers in the road near Tanjug Berugo but certainly we didn’t see any sign of any during our trek. We checked in at the Suslinda in Bangko once more and ate at Saimen restaurant – best one in town. Lubuk Linggau was an interesting way to end the trip…. there’s a hill called Bukit Sulap near town with an ‘Inclinator’ – a little funicular railway carriage thing that takes passengers up the hill (2 stages). The second one was broken when we were there, and even the first once had some technical issues meaning the ‘technician’ wandered up the track itself with several metres drop on either side and nothing to hold onto, and once up, the other guide skidded and slided merrily back down in front of the carriage as it began descending, before ducking his head under it and leaping aboard! 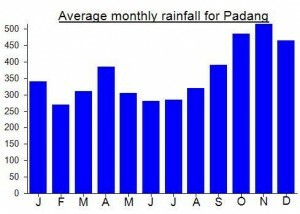 Apparently it often has problems after rain… which in Sumatra might be quite frequently….. Health and Safety? Hahaha! The plan was to climb this about a week ago before heading on to Talakmau and Sorikmarapi. After landing at Jambi we simply had to visit the Muara Jambi ancient Buddhist temple complex about 20km out of town. Absolutely brilliant – much more spacious and peaceful than Borobudur. Unfortunately for me (vegetarian) the reported Indian cuisine in Jambi city itself turned out to be a disappointing meaty Indonesian ‘martabak’ with a little mild Indian influence. Not the array of decent rice, lentil curry etc etc I was hoping for which makes such a wonderful change from the stodgy white rice you normally get served in Indonesia. Later the same day we set off for Bangko (it cost about Rp800,000 for the full day of the Muara Jambi trip and then getting dropped off in Bangko) via Sarolangun where we stopped for a meal. It took about 5 hours from Jambi to Bangko (not including meal time). The local hikers who had agreed to take us to Masurai were getting rather vague on information and once we had checked in at the Suslinda I invited them over to discuss the plans for the following morning. Alas, the whole thing was an utter shambles and nothing had been properly prepared according to plan and estimates of prices and distances/times were varying wildly. Indeed, the first chap who arrived was asking me all the questions (such as ‘how are we going to get to the mountain?’) and I had to tell him that it was I that had requested such information from him. After having confirmed that transport was ready for us earlier in the day, he had later admitted that it wasn’t and finally asked if I wanted some arranging. 6 hours up became 10 hours up and 400,000 for car hire to the trailhead became 600,000 and we would require 2 cars to get everyone there! Not the sort of thing you want to be arranging at the last minute (especially when you had been discussing it for several weeks in advance in order to avoid wasting time). Conversations were going round in circles and what was quite a simple plan ended up being totally over-complicated. This was at about 10pm after a long drive and on a tight schedule which would mean we would have to leave at 5am the following morning. It was as if I had not asked anything about the mountain until 5 minutes ago and as if they had never climbed it as we could get almost no straight answers out of them and they seemed totally unreliable. We had already spent several hours in a conversation that they seemed only to be vaguely aware of. It was a farce beyond belief. They seemed to want to put us off the hike altogether with talk of a difficult trail, leeches and tigers. So I decided that even if we had agreed to the new higher prices and had enough time for a potential 3-day hike (as opposed to the 6 hours up, 6 hours down we had been told originally) then the chances of these guys getting us lost or just deciding they couldn’t be bothered to continue was high enough to change our plans and come back another time. A real shame and deeply disrespectful to us who had travelled for such a long time to try to climb the mountain. If you can’t help, or are genuinely incompetent, don’t offer to help in the first place. So a phone call to the legendary Pak Subandi in Kersik Tua it was and we were off the next morning to the wonderful Kerinci region to arrange a hike to Gunung Tujuh and its huge highland crater lake. Hope to be back for Masurai next year if I can find some half-reliable people to help.